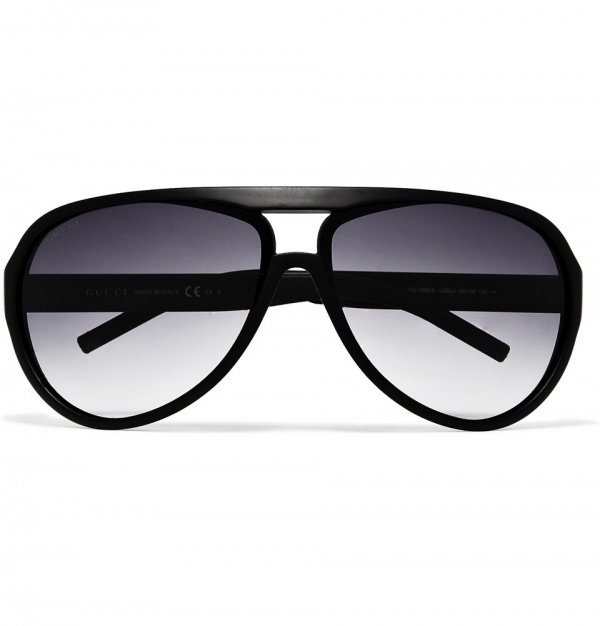 For those who prefer a thicker frame, these black Gucci acetate aviator sunglasses with graduated lenses is a great alternative to the usual lightweight, metal frame avies. Featuring a double bridge, a subtle Gucci logo on one lens, and rubber inserts at the arms, these glasses have a sporty feel that makes them great for an active day out in the sun. Available now at Mr. Porter.